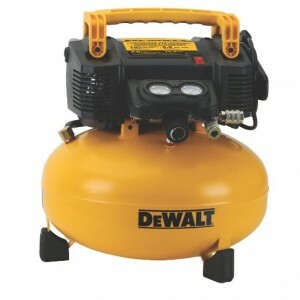 The Dewalt DWFP55126 6-Gallon 165 PSI portable air compressor outperforms all competitors in it’s range, exceeding the features and performance of even higher priced devices. Dewalt have maintained a rich history of excellent customer service and premier manufacturing of all-purpose tools. 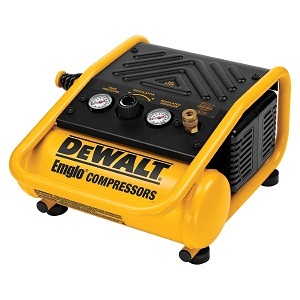 This tool gives you everything that could be hoped for when looking for the best portable compressor. 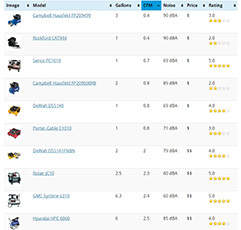 Here we take a look at why this particular model is the best. 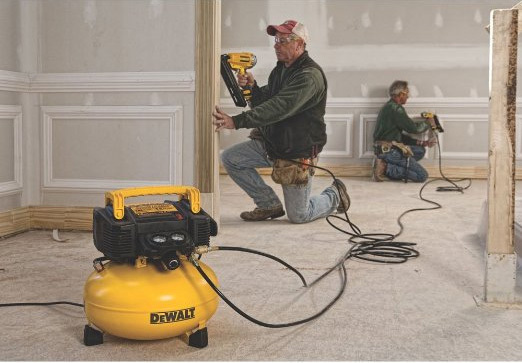 The performance of Dewalt’s product range continues to deliver. 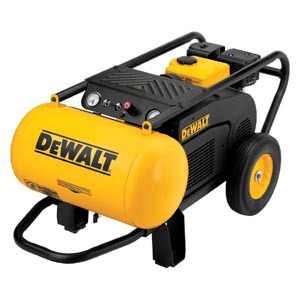 The Dewalt DWFP55126 gives 2.6 CFM at 90 PSI. Two universal couplers are provided so that you can begin using two pneumatic tools from when you first receive your compressor. A ball valve is fitted which drains the tank quickly and thoroughly. The operating temperature is extremely low, adding to the longevity of the unit. The pump gives you oil and maintenance free operation. Given the track record of Dewalt’s product line, one can expect many years of reliable service from their superior production. Keep the unit free from general dust and debris and you will be rewarded with hassle-free operation. The noise level of just 75.5 dB is extremely low, especially considering the maximum pressure of 165 PSI. The DWFP55126 offers professional performance that is capable of being used in a congested urban environment. 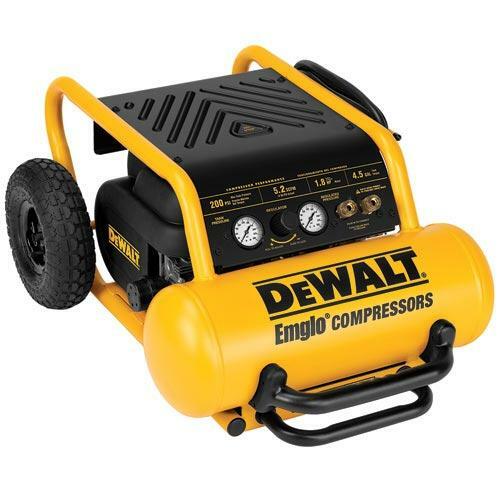 The volume of this air compressor is so low that it is barely louder than a conversational tone of speech..
Dewalt have created one of the most versatile compressors that is a great match to a wide range of activities. It is perfect for home or recreational use, inflating is lightning quick. For those that make use of pneumatic hand tools, you will find the DWFP55126 an invaluable addition to your range of tools. Heavy duty, continuous flow tools will need a more powerful compressor, but for light pneumatic and automotive use this compressor excels. Contractors will find the portability to be an asset, while the low refill time and long duty cycle is always appreciated. It pulls just 15 amps and will never trip your breakers. It is even capable of running off a generator. 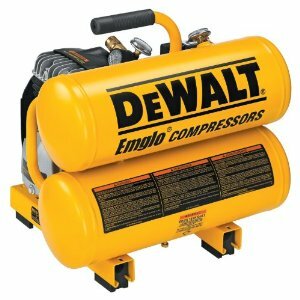 Requiring no maintenance, no assembly and giving a high constant rate of pressure, the Dewalt DWFP55126 6-Gallon 165 PSI portable air compressor is clearly the best compact unit manufactured.